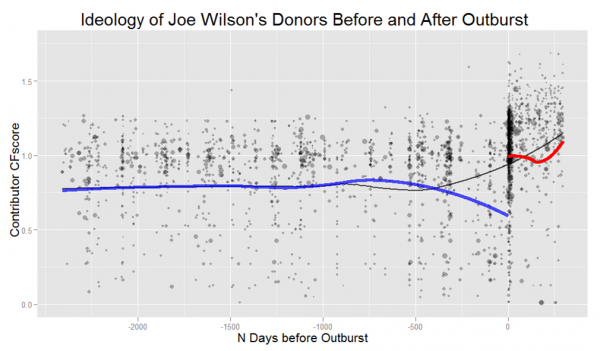 I’ve been researching the effect of small donors on elections and have found their influence to be highly polarizing…A small donor network has become fashionable on the Hill and badge of honor on the campaign trail. Yet despite enjoying a reputation as protectors of democracy, small donors tend to be ideological warriors out to reward polarizing rhetoric and to punish bipartisanship. What’s with the word “despite” in that sentence? Whereas of course we all know that large donors, by contrast, are models of ‘non-ideological’ disinterested probity and virtue who have nothing but the public interest at heart and who deprecate partisanship in all its forms.